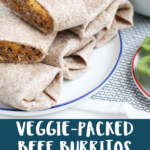 With lots of vegetables right in the mix and a simple slow cooker method, this Easy Beef Burrito Recipe are a nice way to change up taco night! We regularly have Mexican foods on Tuesday nights, so this Slow Cooker Beef Burrito Recipe is now firmly in our family dinner rotation. 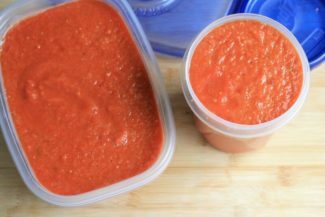 You can get it going in the morning, it makes plenty for dinner and lunches the next day, and it’s super versatile. and yummy! 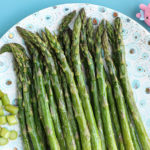 The beauty of this meal is that there is a nice amount of vegetables right in the mix so you don’t have to worry about making additional sides, and those veggies add lots of flavor and moisture (and nutrition). They blend in though, so there aren’t big chunks to raise alarm bells. I never remember to use my slow cooker often enough, but when I do, I’m always so thankful. It’s so nice to know that dinner is underway no matter what happens when we get home at night. And that I can tend to the kids if they need my attention after a long day. Here’s a look at the process of making these burritos. 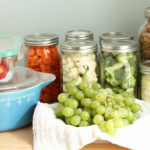 Place the vegetables into a food processor. Add to a slow cooker along with the beef, salsa, and spices. 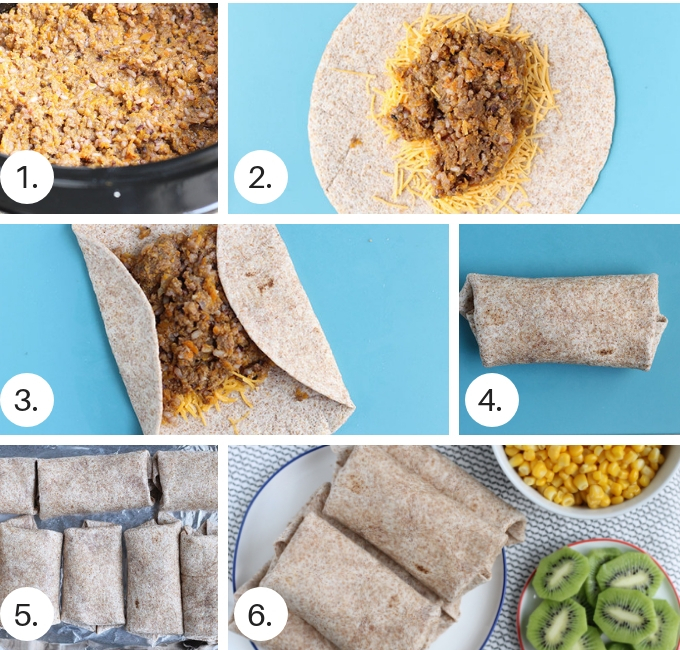 Once you have the filling ready, this is how to assemble the burritos. Place some into the center of each tortilla. Sprinkle with cheese and warm briefly. Place onto a sheet pan if you plan to reheat them later. Serve with whatever simple sides you like! My 10 month old likes to feed herself the filling of these burritos, which again is pretty messy, but at least it makes her happy! And my older daughter loves picking up her beef burrito and eating it like a grown up! 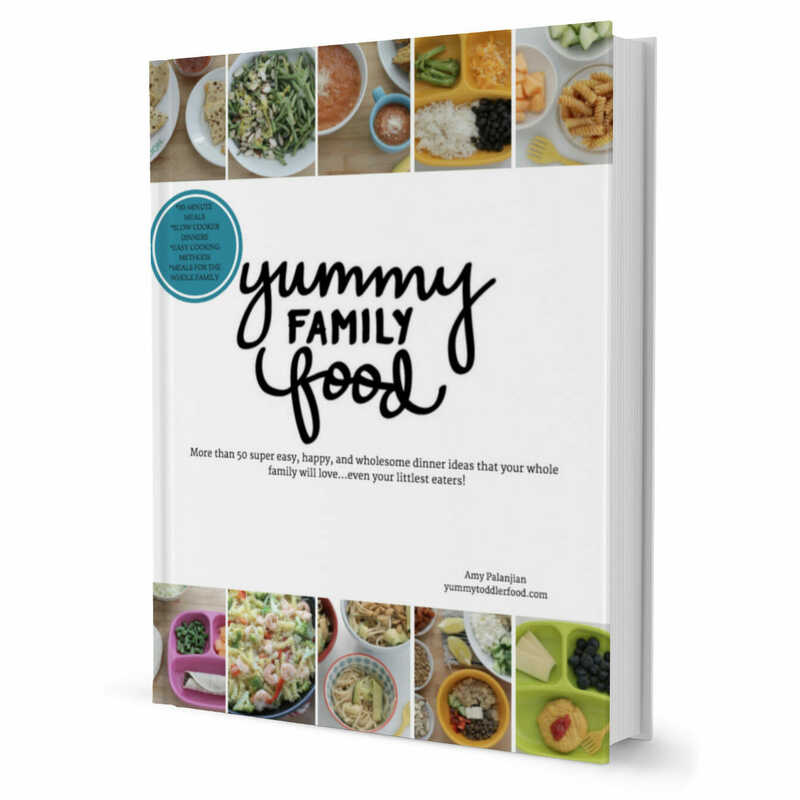 Nutrition-wise, there is iron and protein from the beef, Vitamins A and C and fiber from the veggies, and fiber and complex carbs for balanced energy from the rice and tortillas. 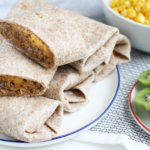 This recipe makes a decent amount of filling, so I use it to make 8 burritos, then serve any leftovers over rice or make them into burritos to store in the freezer for future meals. Can I make these beef burritos ahead of time? 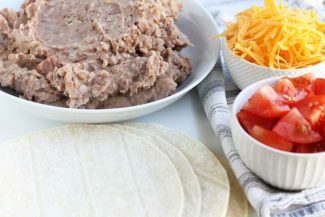 You can make the rice a few days ahead, or even store the filling or prepared burritos in the freezer until you’re ready to make this dinner. They hold together decently well without cheese, though everyone in my family loves these with cheese, so do add it if you can. 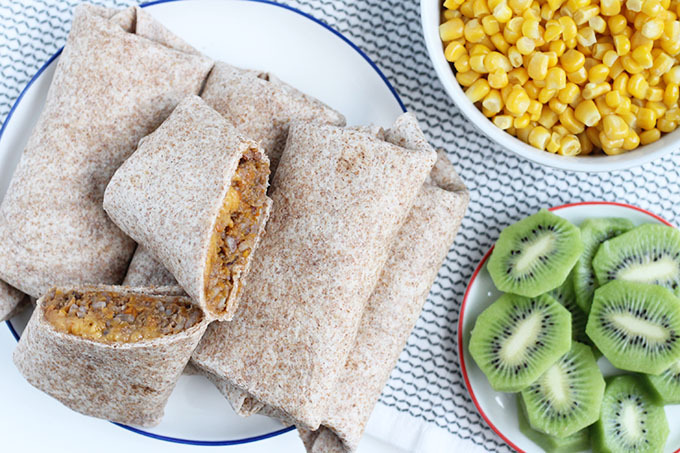 Serve these burritos with salsa or sour cream for dipping and try not to stress if your toddler takes it apart and eats it in components. Because they very well might! 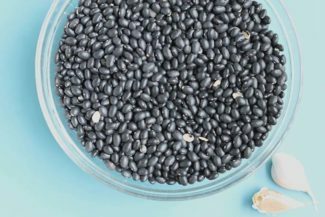 If you want to make these vegetarian, try using 2 cups rinsed and drained black beans or pinto beans instead of the ground beef. 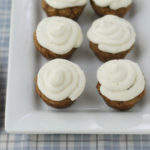 Or, swap in ground lamb for ground beef for a yummy variation. Shredded lettuce, shredded cheese, and any other toppings you like! 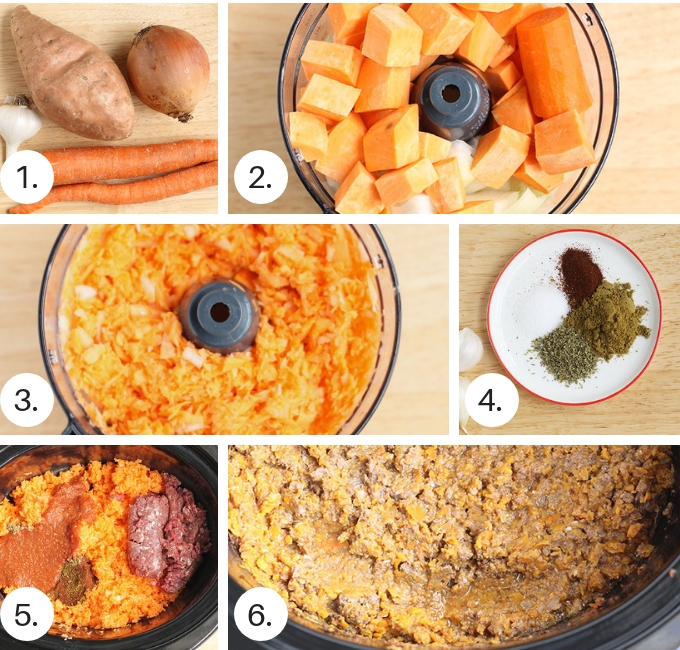 Place the bell pepper or carrot, onion, sweet potato, and garlic into a food processor. Cover and cook on HIGH for 4-5 hours or LOW for 7-8 hours. Stir in prepared rice and let sit for 5 minutes. Place about 1/2 cup into the center of each tortilla. Sprinkle with cheese and warm for about 10-15 seconds in the microwave. Roll up into burritos, folding the sides in and then rolling up. Serve warm. I like the smaller size of tortillas since they are better portioned for kids. You can use larger burrito-size if you prefer. Store the leftover filling and use as a topping for rice as burrito bowls. 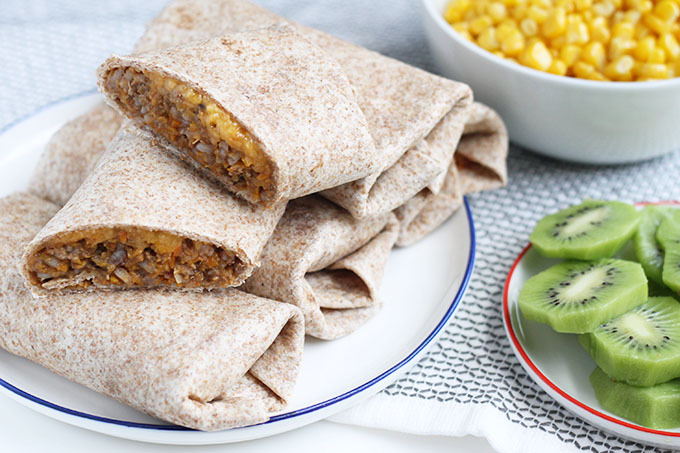 Or make additional burritos and wrap individually in plastic wrap or foil and store in the freezer. Remove from wrapping and reheat in the microwave for 1-2 minutes, turning halfway through.